Kapamilya teen heartthrob Daniel Padilla’s much-awaited debut album titled “Hinahanap-Hanap Kita” is set to hit record bars nationwide on May 28 (Monday). 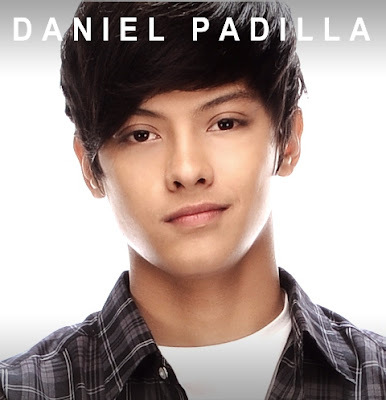 From working his charms on TV, Daniel now conquers the Philippine music scene with a special music compilation dedicated to his fans. “It’s always been my dream to have my own album that’s why I am really happy that I was given this opportunity. I am really enjoying this chance not just for me, but for my fans as well,” he said. Released by Star Records, “Hinahanap-Hanap Kita” features six tracks that will surely capture the hearts of ‘Danielistas,’ and KathNiel (Kathryn Bernardo and Daniel) fans. Aside from its carrier single “Hinahanap-hanap Kita,” completing the tracklist are “Pagsubok,” “Paniwalaan Mo,” “Prinsesa,” “Grow Old With You,” and the song “Ako’y Iyo Ika’y Akin Lamang” which Daniel specially dedicates to his onscreen leading lady Kathryn. The tracks of “Hinahanap-Hanap Kita” are available for download on www.starrecords.com.ph, www.musicstore.ph, and on iTunes in www.amazon.com. For more information visit Star Records’ Facebook fanpage at www.facebook.com/starrecordsphil or follow @starrecordsph on Twitter.